Got a question for the Builder? Ask them with a comment. Comments can be left on Leaders using the form at the bottom of each Leader Detail page. Currently, only registered users are able to leave comments. 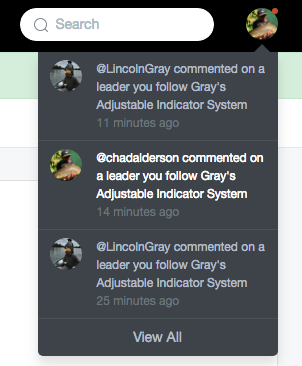 Comments can include some @mentions to other users if you want them to know you’re talking about them. Once you @mention them, they will get a notification with a link back to this particular discussion. This notification will appear in their toolbar, email, etc.